DreamWorks Animation’s The Boss Baby opens in theaters today. The film is getting a mixed response from critics, earning a 45% “freshness” rating over at Rotten Tomatoes. The site’s consensus? 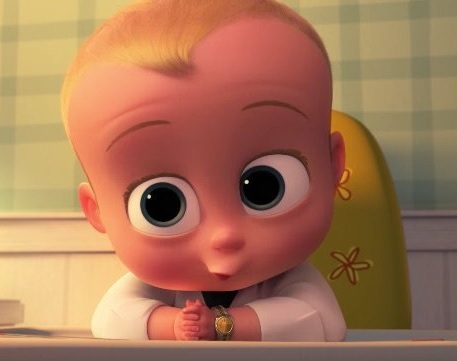 “The Boss Baby’s talented cast, glimmers of wit, and flashes of visual inventiveness can’t make up for a thin premise and a disappointing willingness to settle for doody jokes.” The movie is expected to have a strong opening, with some even thinking it has a shot at topping Beauty and the Beast, but most saying it should debut in second above Ghost in the Shell. Box Office Mojo is forecasting a $35 million weekend. This entry was written by kelvin, posted on March 31, 2017 at 7:24 am, filed under Animation. Bookmark the permalink. Follow any comments here with the RSS feed for this post. Trackbacks are closed, but you can post a comment.